Spencer Baum lives with his family in Albuquerque, New Mexico. He has an additional book available, One Fall. For more information, visit his web site. Turquoise, a mythical town in New Mexico, is a bit like a few other towns in the Southwestern US, reputed by a group of “hippies” to have something special about the area. In this instance, it is “The Turquoise Hum,” a strange sound coming from a nearby mountain that can only be heard by a small number of the population, known as the Hearers. Fourteen-year-old Kevin Brown’s father is among this group. Kevin has never believed in the hum until a chance event causes him not only to hear, but also to gain other powers, setting him off on an adventure beyond his wildest dreams. The fantasy genre has been severely neglected in my reading materials over the years, although I have read some. One way The Demon Queen and the Locksmith differs from what I’ve previously read is the “story world” is at least nominally the world in which all of us live. Whether genre purists would still consider this fantasy or not, I have no idea. At least for me, that doesn’t matter, the story does, and in this case it is a good one. The first day of high school is trying for everyone. For Kevin it starts out worse than most. His reaction, fleeing school for the day, sets off a chain of events leading to a magical adventure. It allows him a temporary escape from his less-than-perfect life and in the end to change it for the better. Throughout the book, it felt more like a fairy tale than a typical fantasy. I often found myself thinking the story was allegorical although, if so, I was never able to pinpoint why I felt that or deduce the symbolism. In the end it doesn’t matter whether this was my overactive imagination or not, because the story works so well. 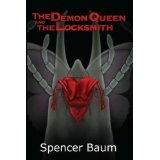 If escapism is one of the reasons for reading fiction then The Demon Queen and the Locksmith should allow a teen (or an adult for that matter) an escape from the problems of their real world life as they follow Kevin on his adventure. Sounds good. I'll check it out! The usual catch-all term for fantasy set in the modern world is 'urban fantasy' (purists may feel that urban fantasy is more narrowly defined, but whatever). The genre often incorporates fairy tale themes and overtones. I've been looking for a good read in the 'urban fantasy' genre - totally underestimated in my opinion. I'll check it out; thanks for all the great reviews, but I don't understand how you manage them all either! This is definitely fantasy - in fact there's a category for it "Low Fantasy". The category comprises urban fantasy, alternate universe fantasy and any fantasy which takes place "on Earth". "High Fantasy" is actually fantasy which takes place in a completely generate other world. @Anon - Wish i had a suggestion for you. But your comment does raise a question, Am I reading 5 books every week? Harriet Klausner claims to read 2-3 books a day. (If you don't know who she is, don't worry about it.) I have read 5 books in a week, but that is an exception. However, when I started this blog I wanted to maintain a post every weekday for as long as I could and planned for it before "launching." I won't tell you how, but I'll bet it wouldn't take much for someone to figure it out. In the near future we'll probabably be picking up the pace as you'll be seeing additional reviewers contributing starting as early as next week. Thanks for the genre explanations. 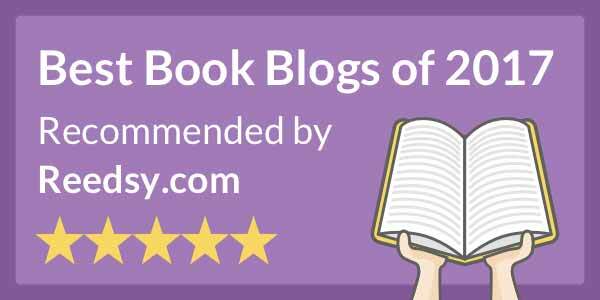 I'm exploring genres I hadn't read much in the past (a positive, I think) and to some degree work it out in my review, if that makes sense. Great review, Al -- I really want to read this one! I'm glad to see it's in print, 'cause I haven't been lucky enough to be "gifted" with a Kindle yet. Lol! I remember watching an episode of Unsolved Mysteries that featured the New Mexico Hum, so at least part of this story might be based in fact. Looks cool! Have read Baum's wrestling novel One Fall which was really well-written so will definitely check this one out. This story about the locksmith is catching attention. It's great that locksmith do enjoy helping people when it comes to their job aspect. Someone with this characteristic must be an expert locksmith.